Can you ever have too much dessert? Nah, there is no such thing! Luckily, if you are not too fond of dessert, D Spot Dessert Cafe has got you covered with many savoury meals. D Spot Dessert Cafe has a multitude of sweet and savoury dishes to curb anyone’s cravings of the day! 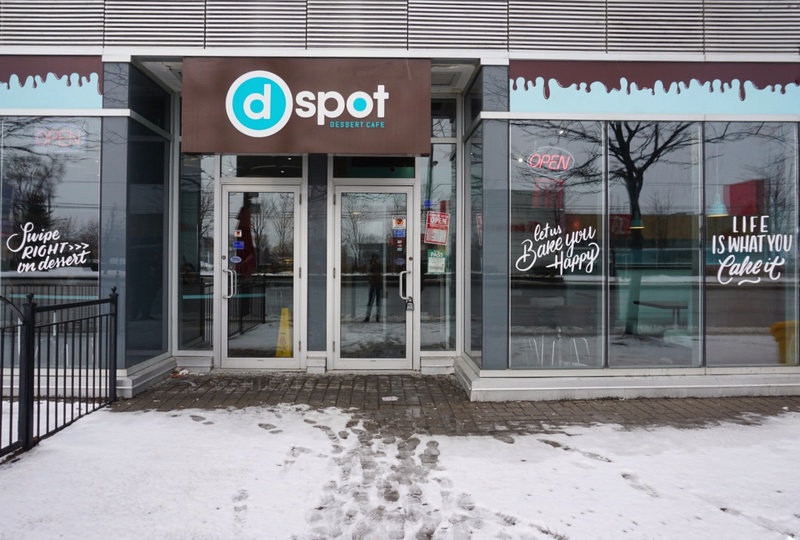 We were given the opportunity to try D Spot Dessert Cafe through a media event hosted by @TOFoodieFriends. 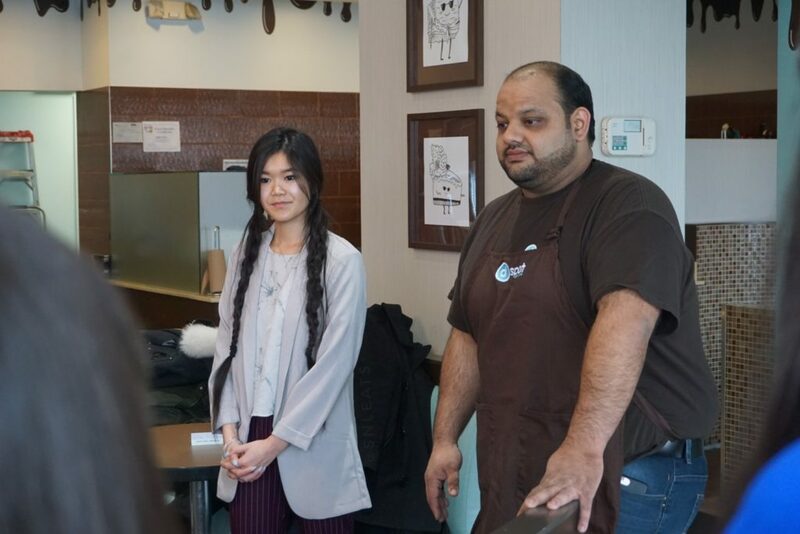 This cafe has been open for 2.5 months with many other locations covering all corners of the GTA (Greater Toronto Area). Their menu comprises of in-house made ice cream, crepes and waffles all while using their own house recipes. Before I get to the sweets, let’s begin with a Canadian treat, POUTINE. If you do not know what a poutine is, it is basically fries topped with cheese curds and gravy. 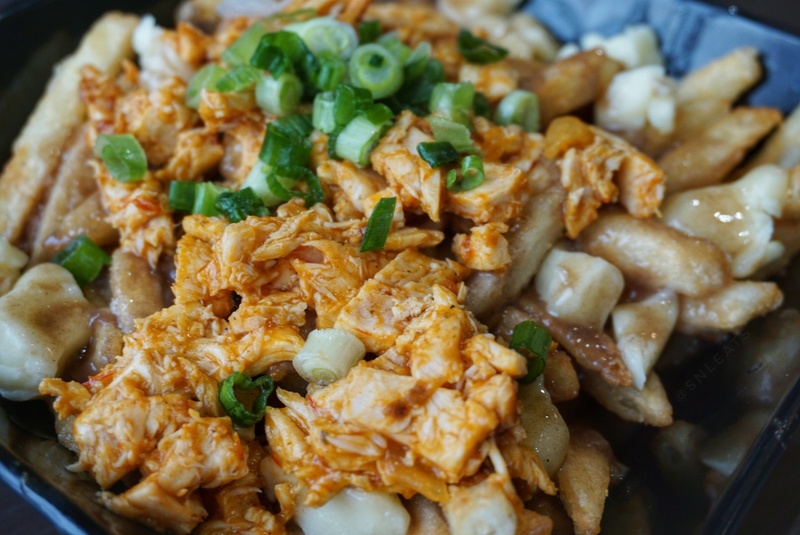 Poutine is life to me (along with many many other dishes). D Spot Cafe’s butter chicken poutine completely satisfied my usual poutine craving and my longing for butter chicken. The fries were crispy but had that perfect softness, mixed with the rich gravy, perfect squeaky cheese curds and butter chicken, just makes the perfect bite each time. 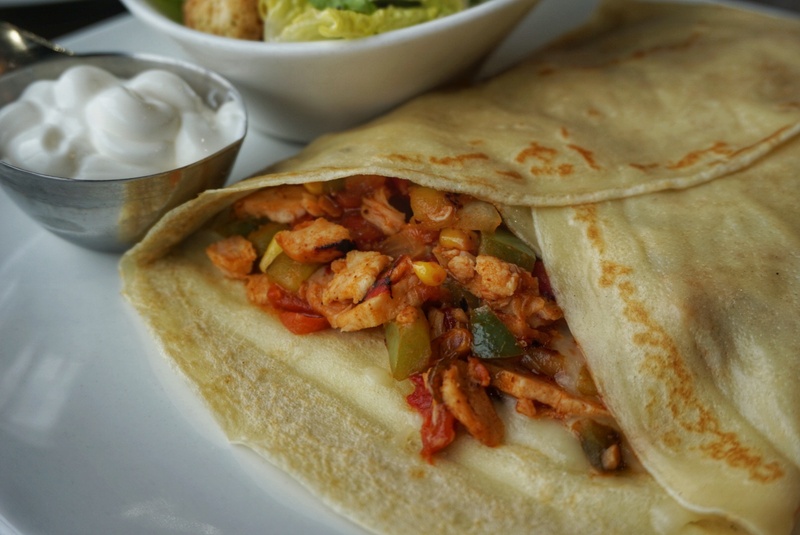 Mexican Dream Crepe: A home made crepe filled with chipotle chicken, onions, green peppers, tomatoes, green onions and roasted red peppers, served with a side of sour cream. The next savoury dish we tried was their Mexican Dream Crepe. This crepe was everything you would expect and more. The chipotle chicken had just enough spice to give you a little kick while all the sauteed vegetables provided the cooling and sweetness to balance it out. Not to mention, how perfect the crepe was in texture and flavour! Now onto a sweet thang! 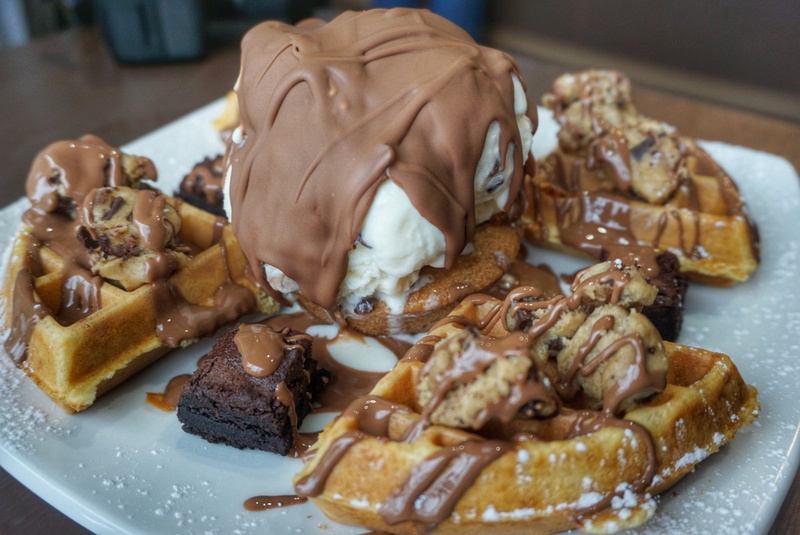 This here is the COOKIELICIOUS, a monstrous dessert that contains warm chocolate chip molten cookie and a Belgian waffle, topped with cookie dough bits, brownie bits, cookie dough ice cream and a drizzle of Belgian milk chocolate. Although it may seem like sweet on sweet, the in house made waffle and ice cream balance out the sweetness. The waffles were perfectly crispy on the outside and soft and chewy in the centre, while the brownie and cookie dough bits had the perfect texture and were not cloyingly sweet. Do you love pancakes? How about waffles? Why not have BOTH, with the “A Bit of Both”?! 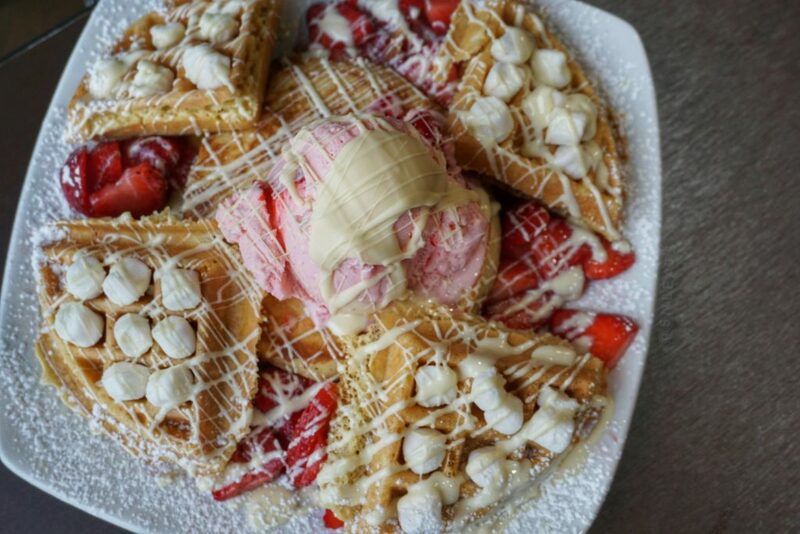 This sweet treat contains buttermilk pancakes and fresh Belgian waffle, topped with strawberries, marshmallows and strawberry ice cream finished with white Belgian chocolate drizzle. A Bit of Both was definitely contained a much better balance between the sweet and savoury for those that do not have too much of a sweet tooth. The waffles were just as great as the ones on the Cookielicious and the pancakes were nice and fluffy! Throw in the little marshmallows, fresh strawberry, strawberry ice cream and white chocolate drizzle, these toppings remind you that it is indeed a sweet treat! D Spot Dessert Cafe not only serves desserts but they also have many savoury options! Whether you want lunch, dinner or dessert D Spot Cafe has what you are looking for! « Party Ideas for the Best Galentine’s Day Ever!